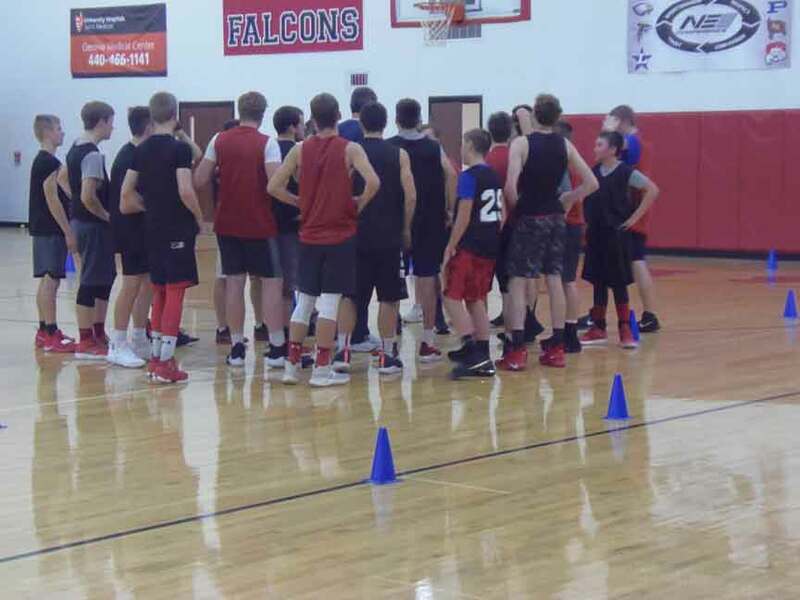 Dave Albert takes over as the head coach of the Jefferson Falcons boys’ basketball team. Albert has coached in the past as an assistant at Ledgemont, but most recently he has run the Madison Youth Basketball Program for the last 16 years. He has also coached five teams as part of the Lake Erie Defenders AAU basketball program. Albert has been looking forward to the challenge of coaching a team every day, while coaching the AAU teams it was mostly on the weekends. “It’s all about developing the kids,” Albert said. The Falcons finished 4-19 a year ago and look to build on that in a tough new NE-8 Conference. The conference includes a lot of the Falcons former opponents in the All-American Conference White Tier Division. “We want to improve our wins from last year and be competitive in all games and see what happens,” Albert said on the teams’ goals. “We are a young team and will probably start three juniors,” Albert added. Returning for the Falcons are Jake Butler, Brandon Strang and TJ Skinner. The Falcons also except to get minutes from Tyler Messenger, Andrew Mehalic, Anthony Loomis, Colin Priestap, Sevi Cantini, Tyler Alexander and John Montanaro. “They’re learning and working really hard in practice,” Albert said. “We’re working on fundamentals and adjusting for where they’re at and where I want them to get to,” Albert said. The Falcons are working on ball handling every day in practice as well as footwork and passing. “We do jump rope every day to work on foot speed and other drills for hand speed,” Albert said. The Falcons start the season with the Berkshire Tournament, which is presently scheduled to run Thursday-Saturday starting on the 28th depending on the match-ups. Jefferson plays their first five games on the road and have their first home game on Tues. Dec 18th against Niles. Pictured: The Jefferson Falcons boys’ basketball team talk things over during a recent practice.